A toy kookaburra visits the echidna in Australia. Gail Smith, Wurundjeri Elder, has translated using the Woiwurrung language of the Wurundjeri people. 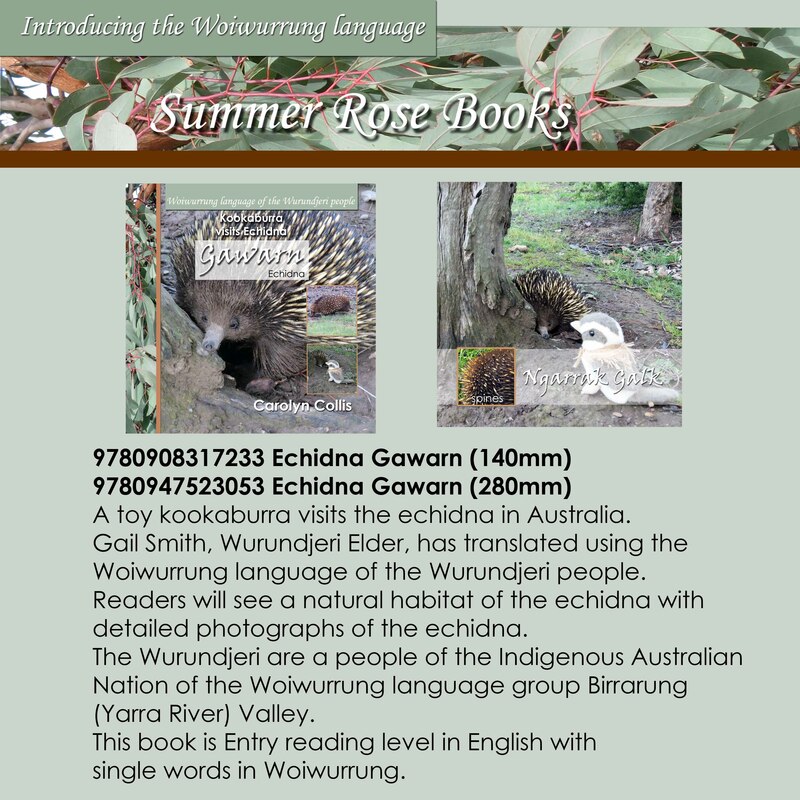 Readers will see a natural habitat of the echidna with detailed photographs of the echidna. The Wurundjeri are a people of the Indigenous Australian Nation of the Woiwurrung language group Birrarung (Yarra River) Valley. 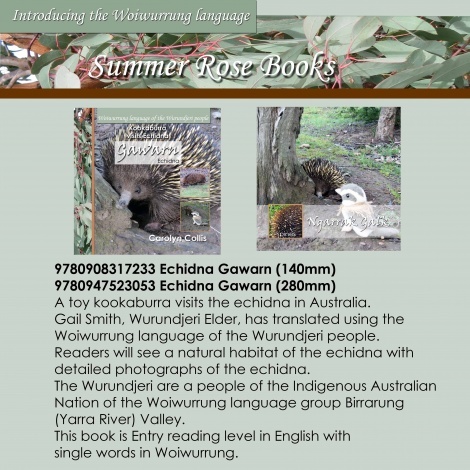 This book is Entry level reading level in English with single words in Woiwurrung.